Cancer is the most dangerous problems anyone can face. Sometimes cancer treatments can affect your ability to conceive. What is male and female infertility? The ovaries don’t have healthy eggs. Damage to any part of the reproductive system can also lead to infertility. Many types of research predict that a woman has higher chances of getting infertile after cancer than that of a man. If you have cancer, you should definitely ask your doctor about this. But there are also many women who became pregnant after a cancer treatment. How can chemotherapy affect female fertility? Most Chemotherapy medications can harm eggs of a woman. It affects female fertility. It also depends on various factors like age, the types of drugs, the drug doses, etc. The number of eggs your body has depends on your age. Therefore, women of a younger age have more chances to get pregnant than that of a woman with higher age. At the age of 35, women have the best chances of getting pregnant. Your periods can’t always determine your fertility. Many eggs get destroyed during chemotherapy. 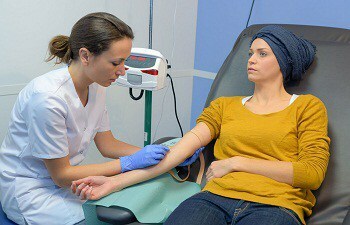 You should always avoid getting pregnant during a chemotherapy. Many chemotherapy drugs can hurt the fetus. This can cause many birth defects. You should consult a doctor before taking any actions. If you can’t get pregnant after chemotherapy, don’t worry. You can go for other methods that can help you get a baby. Always remember that it’s not the end.